How Much Is Your Internal Communications Really Costing? In today’s Information Age, getting employee attention for important company news is anything but simple. The email in-box is out of control. The noticeboard never gets noticed. And the printed newsletter is out-of-date before the ink is dry. To help businesses understand the true cost of internal communications, we have designed a Return-On-Investment (ROI) Calculator that measures the average hourly employee cost of different internal communcations efforts. This easy-to-use tool factors in a range of commonly-occurring expenses, including many of those hidden costs associated with internal communications. It calculates the dollar amount for interruption and subsequent recovery time for unnecessary emails. It also includes the available savings if better internal communications methods were in place that could substitute time-wasting general update meetings (based on research data). The ROI Calculator’s interactive format also allows users to input their own data, such as number of employees, approximate number of meetings, and average production costs for creating offline messages. Upon conclusion, the calculator reveals the total sum of internal communication costs tailored to a user’s specific situation. It also reveals how much can be saved using employee communication software to consolidate email communications and disseminate information via high-impact channels that bypass email. SnapComms CEO Sarah Perry says the calculator was designed to shed light on the true cost of internal communications: “Organizations find it hard to quantify the real cost of keeping staff informed. They suspect there are inefficiencies, but up until now, it’s been difficult to pinpoint what they are. This calculator demonstrates where costs mount up, and how savings can be made. ROI Calculator results are available straight away via a customized report, which can also be shared via email upon request. The report breaks down the problem areas – such as surplus meetings and email – and the true cost associated with those efforts. 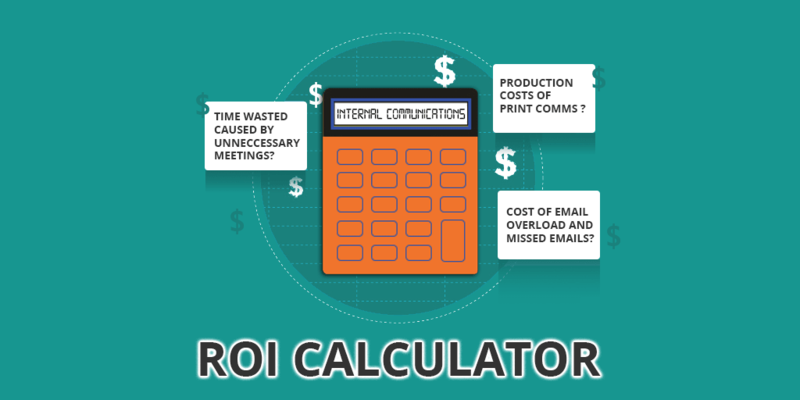 For more information, and to try the ROI Calculator first hand, please visit SnapComms ROI Calculator for Internal Communications.